Gary Gordon lives in Grahamstown in the Eastern Cape where he is Professor of the Drama Department at Rhodes University. Here he has developed the practice, teaching and research of choreography, physical performance and contemporary dance. In Grahamstown, he also founded the First Physical Theatre Company in 1993. This was the first physical theatre company in South Africa, and a company now noted for its theatrical collaboration, choreographic innovation, education and development, arts management and theatre research. 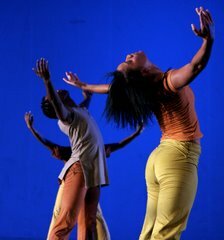 He specialised in dance studies at Laban in London where he obtained a Masters Degree in choreography. From 1989 to 1992 was a member of the teaching faculty and gained extensive experience as an educator, choreographer and performer in Europe and the United Kingdom. He was Co-ordinator of Choreographic Studies at Laban and worked with a number of leading British choreographers. Gordon was the first recipient of the Standard Bank Young Artist Award for contemporary dance (1989) – an award acknowledging his choreography and outstanding contribution to dance in South Africa. He was awarded FNB Choreographer of the Year for Shattered Windows (1994), FNB Most Outstanding Presentation of an Original Contemporary Dance Work for The Unspeakable Story (1996), and a FNB Vita Special Award for Choreography for Bessie’s Head (2000). He was the first recipient of the Eastern Cape Premier’s Award for Choreographic Excellence (2000), and was awarded the Rhodes University Vice-Chancellor’s Award for Distinguished Teaching (2000). 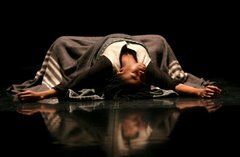 Last year he re-constructed First Physical’s acclaimed and moving dance play Bessie’s Head with performances in Cape Town, Grahamstown, Port Elizabeth and Gaborone. Further collaborations led to his choreographing the provocative and haunting Vrypas with performances at the KKNK Festival, Oudtshoorn and the National Arts Festival, Grahamstown. He still continues to work as a performer and appeared in Juanita Finestone-Praeg’s highly successful 16 Kinds of Emptiness. 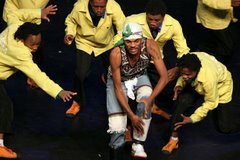 At the moment he is determined to secure a firm financial basis for First Physical to continue the celebration of professional choreography and dance performance in the Eastern Cape.